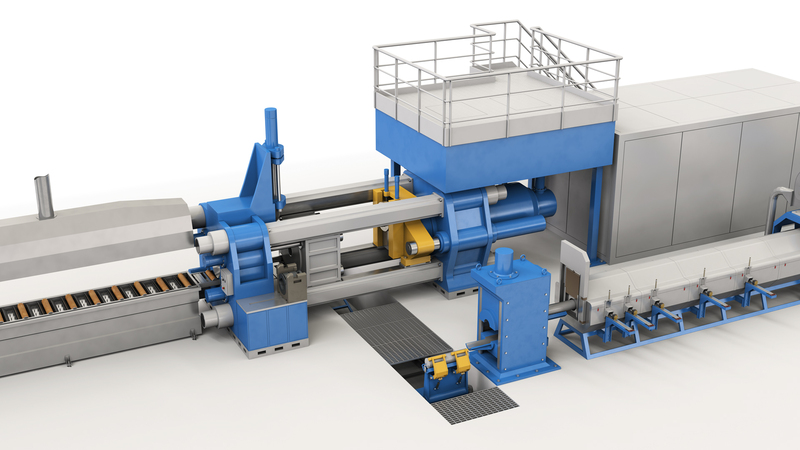 CMG Designs was commissioned by AMS (Architectural Metal Systems) to create a detailed 3d animation showing how their new state of the art Aluminum extrusion plant works. Aluminum Logs are heated up and cut into smaller billets. These billets are then pushed through a die to create a profile which is then used for the manufacturing of windows, doors etc.. There are countless types of dies for producing all sorts of profiles. It’s basically like a large Play Doh set. With most of our animations, we start with a 3D CAD file which we then modify for animation use but in this case we only had 2D drawings and photos to work from. We used Cinema 4D R18 to model and animate the scene, Vray3.4 for rendering and After Effects for post. Half the animation was rendered on our own internal farm and the rest was rendered using Rebus Render Farm. You can view more of our animation work here. If you would like us to create a similar animation for you company, please call us on +353 (0)21 482 6293 or email us at info@cmgdesigns.ie.